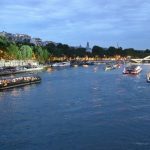 Are there small cruise ships for the ocean and river cruises? Trust me, this question is asked by thousands of seafarers who are already fed up traveling in huge ships that carry more than 3000 passengers. They feel the dining halls and restaurants are always crowded and noisy. Privacy is at a premium, meaning you have to pay through your nose for a cozy cabin all to yourself. 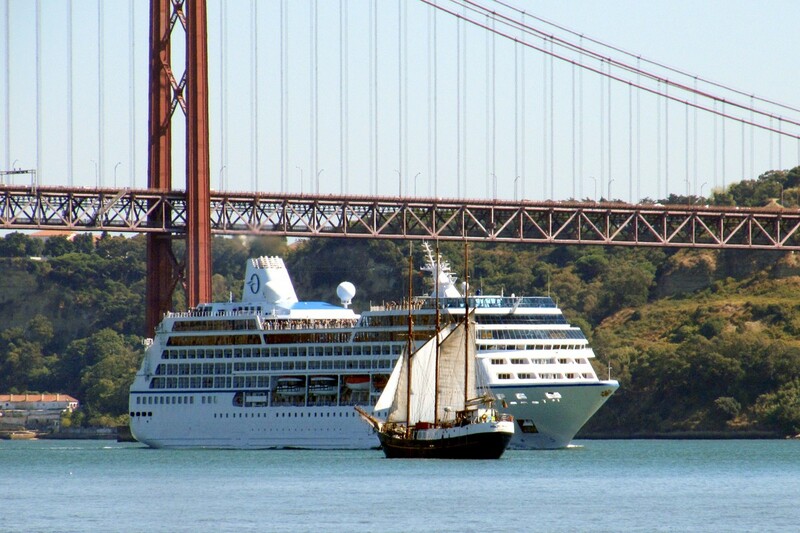 Cruise lovers these days prefer much smaller ships, a yacht may be that can accommodate a maximum of 300 passengers. Wouldn’t that be lovely to travel in a small ship with only about a few hundreds of passengers? The restaurants will be easier to order food; you may get personal attention from the bartender who is not always in hassles to serve a thousand guests at a time. 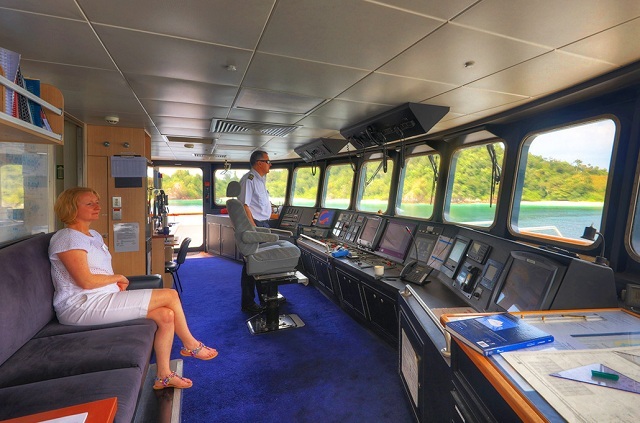 You can see smiling co-passengers who are relaxed because they are taken care of well by the crew. Now, to answer your question, “are there small cruise ships that operate on high traffic cruise routes also”, the answer is ‘yes’. By small ships means there won’t be any compromise on luxuries and amenities. In fact, they can be better and more satisfactory than what is offered in mammoth floating hotels. 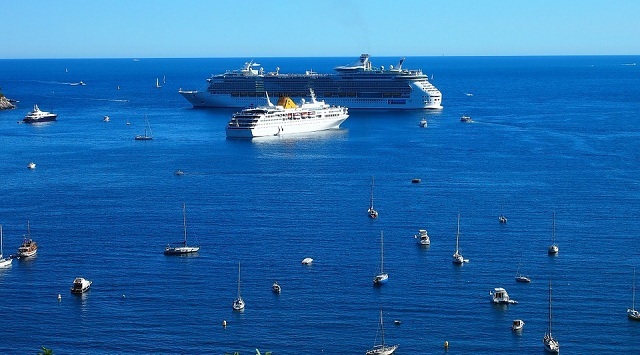 Let us go over the cruise lines that operate small ships and yachts on top ocean cruise routes. That vessel may look huge but when compared to other cruise monsters, this can be certainly called a ‘small cruise ship’. “ One crew for every passenger”. That would be awesome, folks, won’t it be? All your personal needs would be attended to immediately, as soon as you think! This is a small cruise ship alright but there is no compromise on space. Silversea cruises offer comfortable space for every guest, irrespective of their class of journey. The suites are offered with ocean view facilities and most of the suits are equipped with private verandah. OMG! A private verandah on the ship’s deck with an uninterrupted view of the horizon would be the ultimate luxury that you can expect in an ocean cruise liner. As mentioned earlier. There will be a butler for every guest. I don’t know how the cruise liner manages this but let us accept it with gratitude. The restaurant tables are not reserved; they have open seating. Above all, they are open at all times. Not one but more than one restaurant is available even though it is a small cruise ship. Sure, you get all the onboard entertainments including live music. Here is the most surprising part of Silversea Cruises. 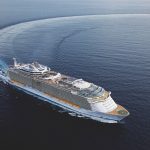 They operate on all the big cruise routes to top exotic destinations, tropical islands, and uninhabited islets and atolls. What more can you ask for from a small cruise ship company? 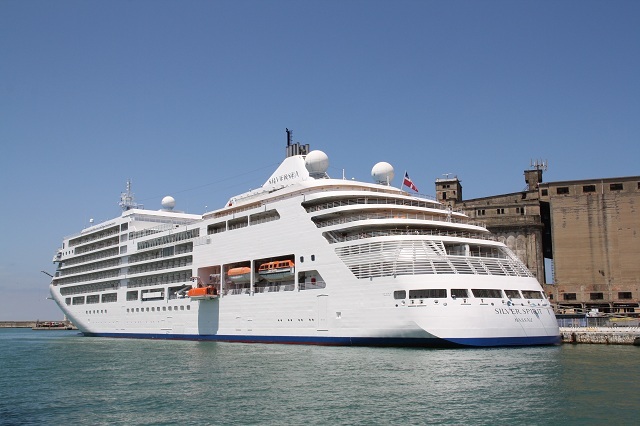 Silversea cruise lines are (y)our go-to company for all your cruise trips on a small ship. Visit http://silverseacruises.in/ for your inquiries. 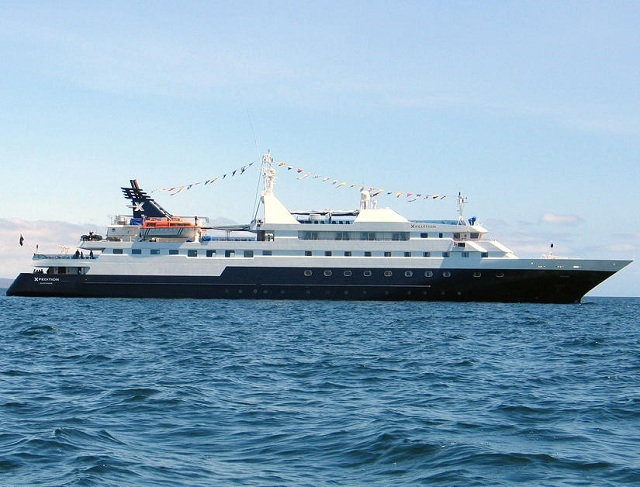 That is one of their small cruise ships named ‘Xpedition’ and it goes about visiting the Galapagos Islands that command stupendous traffic from island lovers and sea-voyage buffs. Now, they operate a much smaller ship called “Celebrity Xperience’ that can take only 48 passengers. If only you travel with such a small number of people, your voyage would be memorable and very comfortable too. 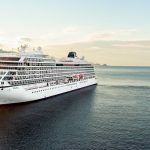 Wait for the launch of their all-new vessel called Celebrity Flora in which a maximum of 100 passengers only can get on board. Contact them at https://www.celebritycruises.com/ for your further exploration. That’s one of their vessels that cruise the Vietnam river waters. It looks certainly a small cruise ship. 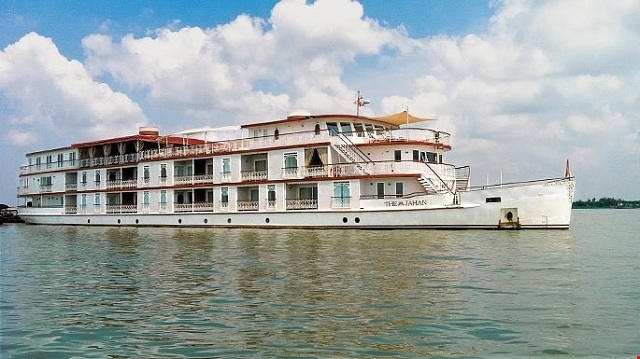 It’s actually called a ‘riverboat’ and cruises on Mekong River. Mekong River cruise can be hot and humid. Keeping that in mind, the Lindblad Expedition’s riverboat is so designed in such a way that every cabin has a balcony to cool your heels. This small cruise boat can take in only 48 passengers! Wow! That I would call it a mini group where every passenger can get to know each other before a week-long cruise holiday comes to an end. However, don’t visualize just a ferry; it is in fact 230 feet long with 24 cabins and two large suites. One can happily roam around the four decks in this small river boat. Lindblad also operates slightly bigger vessels but they are still called small cruise ships that can carry a maximum of 150 passengers. 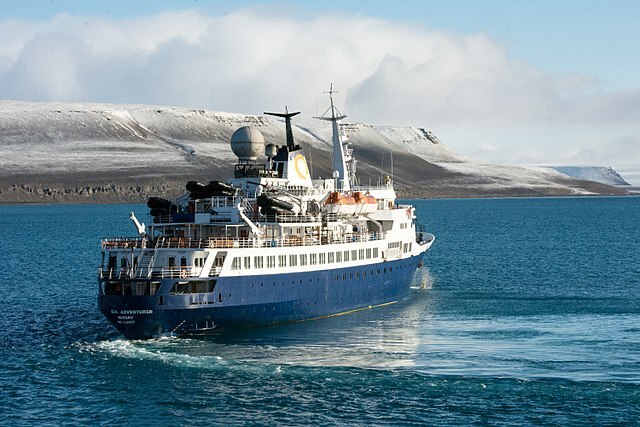 I think Lindblad Expeditions vessels are the ideal small cruise ships that many of us are looking for. 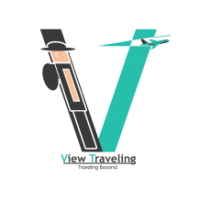 Certainly, cruising in a small yacht with less than 100 passengers will be more pleasant and comfortable than traveling in mammoth floating resorts with about 2500 passengers jostling each in the bars, decks, and the bow area. Open bow where you can bravely stand and feel the surge of the ship. Swimming pool. I think it is odd to swim in a pool on a ship that itself is swimming on a river or sea. 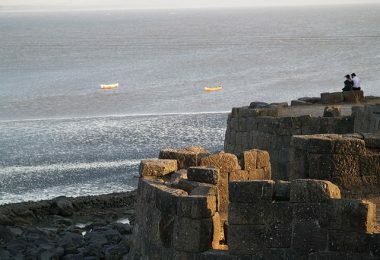 Won’t it be more exciting if you take a plunge on the larger water body? The two oceans that guard the United States. Visit https://world.expeditions.com/ for in-depth knowledge of their small cruise ships facilities, amenities and high-tech tools, and gadgets that make your voyage safe and comfortable. 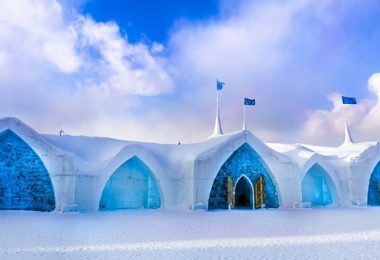 I am not for cruising up to the polar regions but I know others who are just too thrilled to go on adventurous cruise voyage to Arctic and Antarctic regions. Such seafarers can approach Quark Expeditions who are experts in operating small cruise ships that go on a long polar region voyage. Unless you enjoy seeing a few penguins and polar bears, don’t you think you will get bored seeing ice and more ice? Cruise ships that cruise on the polar region seas must be well equipped with gadgets and tools to break ice and surge, must have a helipad with own chopper to meet out emergency needs and some manual ice breaking implements that are required for inland tours on ports of call. Quark Expeditions cruise ships are small. Their vessels can take on board about 150 passengers only. These small cruise ships offer several sizes of accommodation to different budgets. However, I think passengers would prefer cozier and warmer rooms that are not near the deck because after all, the ships carry them to polar regions that are home to penguins and polar bears. I wonder why such a name-‘uncruise’ to a cruise ship company! Nonetheless, all their cruise vessels are small and in fact, one of their cruise ship (cruise boat rather) takes only 22 passengers! I think this small cruise ship is ideal for private chartering by big families and corporate. One of the biggest advantages of operating small cruise ships and yachts is they can go and dock at wonderful small town ports where big ships cannot enter. This paves way for exploring unexplored places. I think this is a very big advantage of going on a river cruise. 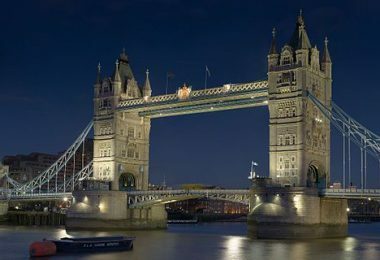 Too much of urbanization has not spoiled all these cruise destinations have exotic islands. The wildlife in many of these destinations would urge you to extend your stay as you would feel dissatisfied of not having spotted all the exotic and endemic birds, animals, and marine life. Watch this video clip developed by Uncruise Expeditions. Did you notice the broad smiles on the passengers as they enjoyed the adventures and inland tours offered by this small cruise ships operator? 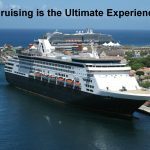 Visit https://www.uncruise.com/ for the cruise packages offered. It is a long-standing company that was founded way back in 1893 in Norway. It was started with the purpose of ferrying cargo in the Norwegian seas but later started ferrying passengers too to remote fjords and islands of Norway. 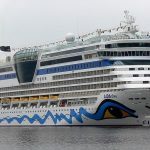 They belong to small cruise ships category and well patronized by the Norwegian people through a few of their vessels out of 16, hold about 1000 passengers. The majority of the cruise operators rarely cover the last three destinations. 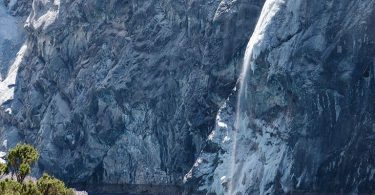 Visit https://global.hurtigruten.com/ for your cruise package bookings. 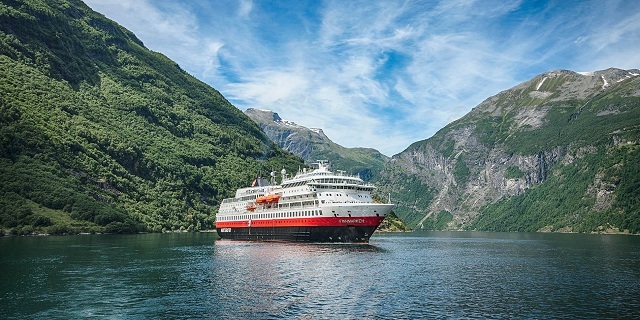 If I ever get an opportunity to see several Norwegian fjords of I have a fascination, I would certainly choose Hurtigruten as they can be all at sea on the Norwegians seas with natural ease and familiarity. This is a Australian Cruise company that operates small ships allowing a maximum of 120 guests only. 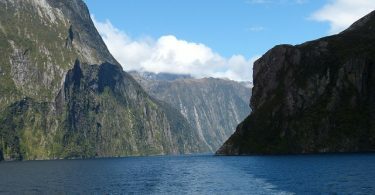 Australian cruise destinations are not extensively covered but they deserve much more attention. The Great Barrier Reef and other small islands of New Zealand and Australia command breathtaking beauty and sunny climate. Look at the destinations that are covered by the Coral Expeditions. Look at the pilot room. I would like to sit in place of that lady. The reviews about the food that is served on board of the fleet run by the Coral Expeditions enticed me so much to book a cruise package but I have postponed my desire due to prior commitments. 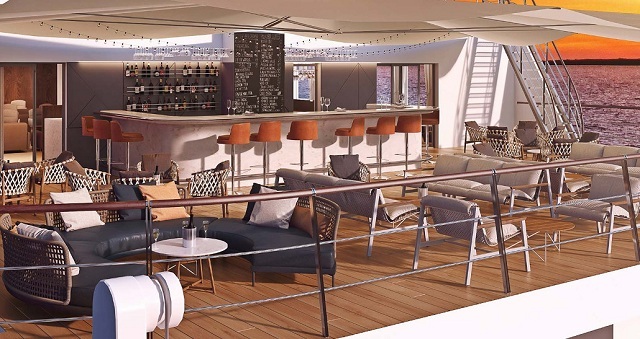 A bar on the deck of the small cruise ship! 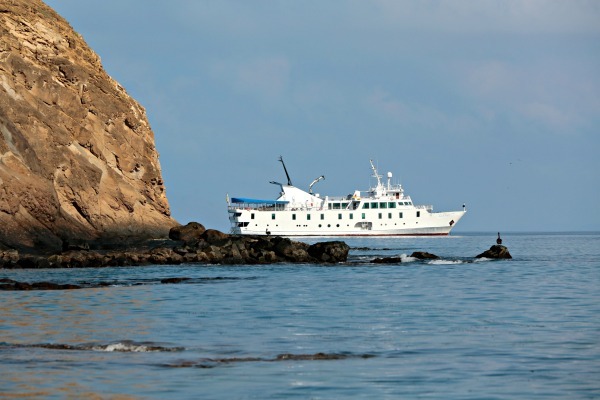 Visit https://www.coralexpeditions.com/ for more cruise details on their small cruise ships. 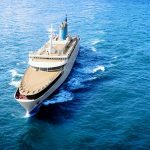 I have come to the end of the blog post on the topic of Small Cruise Ships operated by some most popular companies in the world.